When I’m not working my regular job, I like to pretend that I’m a celebrity stylist or professional buyer for some power fashion house. This obviously gives me a good excuse requires me to spend time in the mall and perusing fashion sites and mags. Here are some trends I’m seeing all over for Spring and Summer! #3 The Romper – This trend started last year and I was about as opposed to it as I was the comeback of stirrup pants. I mean, what could be less sexier than an adult onesie?! I still think it’s a trend that confuses guys to no end. I do actually own a romper but my tip for this trend is to find the perfect fit for your body. #4 – The Fedora – My large noggin cries in sadness that it is not suited for hats. But I urge you all that have properly proportioned heads(with complete bitterness)to rock that fedora or broad-rimmed hat. ….so chic for summer! 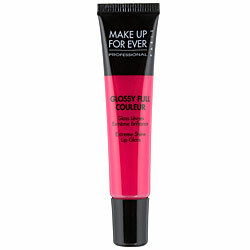 #5 - Pink Gloss - Neutral makeup is IN this summer - so fluff on some bronzer and swipe those lips with some pale pink shades. Emily Maynard wears this one! Obviously I adore! Credit to The Possessionista for this find. Are you loving any of these summer trends? Or are you creating your own? What are you loving? Great picks! 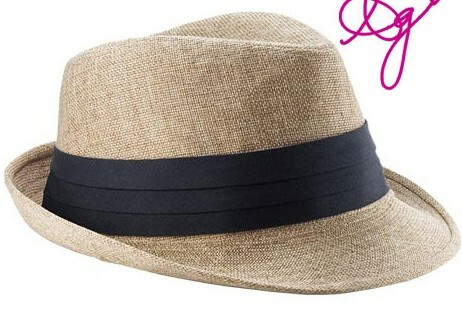 I love the fedora and definitely plan to get one this summer. As for a romper I'd love to find one that doesn't look so awkward on! I'm with you completely except for the romper. Maybe because I'm not built for a romper...but I just can't support that. I do have a cute fedora. Let's see if I can pull it off this summer! I love everything you've included. 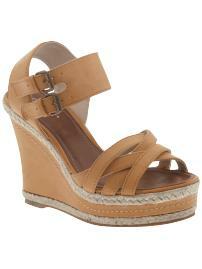 Wedges are what I'm going gaga over this summer. Love them! can we please go shopping together?! 7's are probably one of my FAV jean designers..so comfy! Those, and Joes..woo I rhymed! and pshhh I've already got it covered with the Fedora! Now we've just got to get one for YOU! I'm tellin ya...check out nordstroms theyve got a big selection and it'd look great with your tan!! Ohhh I love the wedges! And I am so into the fedoras too! I love fedoras!!!!! I always have, so I'm glad they are finally "in" haha. I love onsies and rompers. I can't help it. Cool or not, I have like 6.
can't get enough of the wedges. i'm still unsure of the romper trend...perhaps i just haven't found the perfect fit yet! Very Cute stuff! My roomie already ordered that fedora! I am a new follower! Stop by my blog if you get a chance! Ps: I’m hosting a cute necklace GIVEAWAY today! Hope you’ll join in! 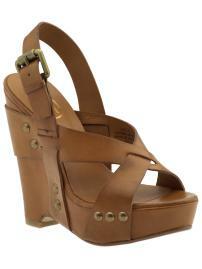 and wedges will always be my fave! they are definitely my go to shoe! umm i'd like it all. you can just mail it to Chelsea Coleen, Blogger Princess Extraordinaire , Atlanta, GA.
ps the word its making my type in below is "citypot".... uhhh ok blogger. thanks for all the tips! YOu totally could do that for a job :) I have been looking for a fedora hat for some time now...and bell bottoms? coming back again?? not sure how I feel about that one.. I saw a girl rocking a romper last week with heels and she looked amazing. We were at a fashion show and I stopped her and told her how fabulous she looked in it. If I could look like that, I'd totally rock one. I'm learning that I think, unless you are super tall, you have to wear them with heels or wedges! They are for sure in this year! I just can't jump on the romper bandwagon...I feel the same way! If Emily wears that color, I'm in. Haha. I WANT to like rompers, but I just can't. They look funny on me. OK, love rompers, but they would look horrible on me. I love them on the right body type aka yours. Love wedges, obvs. Also, adore fedoras but my head is too big for them. BOOO! These are great pics, why can't I be that girl that can look good in anything. Snookie wahhhh! OOOOOooooo I love those wedges. I am definitely in to that trend right now. I love my heels but wedges definitely give a girls feet a break while still adding height. I think the fedoras are cute but haven't tried them yet. I am not usually able to make a hat look stylish. I know some people can definitely pull it off but not this girl. is ti weird that when I was falling asleep last night I actually thought "hmm I didn't read ashley's post today." ok, it is weird. I love all those trends, but the last time I tried on those kind of jeans they looked HORRENDOUS! I heart rompers... seriously... and guys can kiss my bum if they don't. When skinny jeans first came out I absolutely thought they were the worst thing ever. It took me up until this past winter to FINALLY embrace them and now that I started wearing them... they go back to the wide legged jean, haha! But it's okay 'cause I still have several pairs that I love. 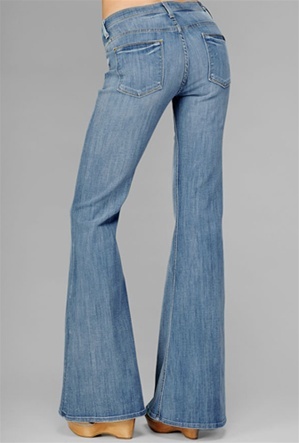 I went through a huge bell bottom jeans phase when I was in high school and I still have those jeans in my closet! Oh, and I so hear you on the wedges thing. I'm 5'8 already so adding those extra inches puts me at the same height (or taller!) than lots of guys, haha!